This incredible super telephoto lens combines the world's most precise optics with an impressive compact size and weight for the ultimate in performance and portability. 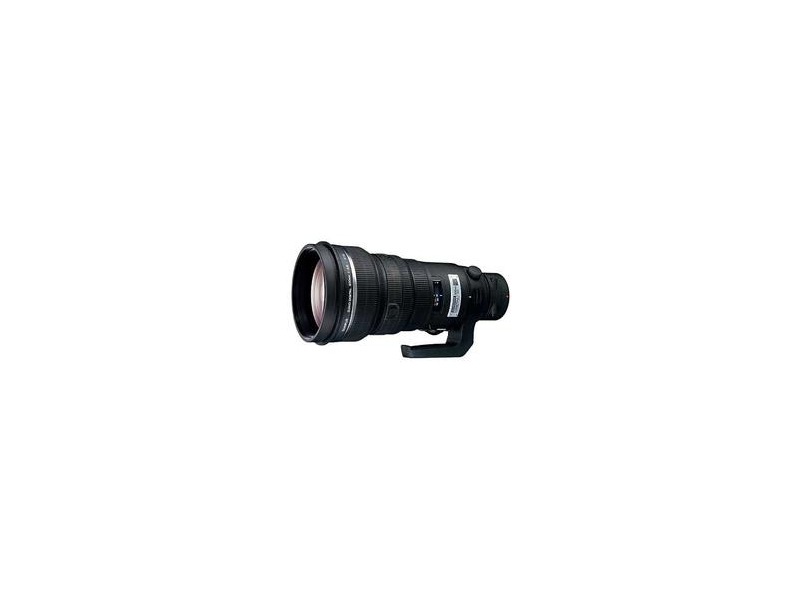 This Zuiko Digital Lens use a precision aluminum alloy lens barrel and is half the size of its 600mm 35mm equivalent so it's easy to carry and use. With 3 ED glass elements for unsurpassed image color and clarity, the 300mm f2.8 is ideal for shooting sports, wildlife and fashion. The fast f2.8 aperture allows the photographer the ability to shoot even in poor lighting conditions. Focus response is quick and precise and can be limited to close or far ranges as well as the full lens range.